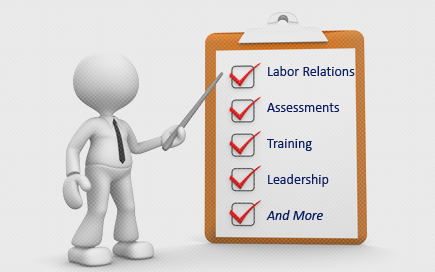 Labor Relations News Update February 2, 2015 | Oliver Bell, Inc. In a significant decision addressing the compensability of employee break times, the U.S. Court of Appeals for the Sixth Circuit recently held that time spent by a group of security guards monitoring their radios during meal periods was not compensable work time under the FLSA because they failed to demonstrate that the time spent during their meal breaks was predominantly for the benefit of their employer. Notably, the Sixth Circuit found that the meal periods were non-compensable notwithstanding the fact that the security guards were unable to leave the premises and had to listen to their radio throughout their break, regardless of what they were doing. The case, Ruffin, et al. v. MotorCity Casino, was brought by a group of security guards who worked at a casino in Detroit. The plaintiffs were scheduled to work five eight-hour shifts per week and were also required to attend a 15-minute, pre-shift roll call meeting each day. The employer provided security guards with a paid 30-minute meal period each day and used that paid time to offset the guards’ overtime hours. During their meal periods, the guards were free to eat, socialize, use their cell phones, surf the internet, play cards, read, and watch television. However, they were not permitted to leave the casino, and they were required to monitor their radios and to respond to any emergency calls. Although the guards admitted that it was very rare that they were actually required to respond to emergency calls during their meals, they nevertheless claimed that monitoring the radios exposed them to constant work-related “chatter” that regularly disrupted their meal periods. Accordingly, the guards alleged their meal periods were predominantly for the employer’s benefit and, as such, constituted compensable time under the FLSA and could not be used to offset overtime hours. Ruffin bolsters the position that merely requiring an employee to “monitor” a radio, telephone or other device in case the employee is needed to return to work or to respond to emergency calls during a meal period does not constitute compensable work under the FLSA. Nevertheless, the decision also reminds employers that, depending on the circumstances, requiring employees to perform certain activities during meal periods may pose a risk that the time will be considered compensable work-time. United Steelworkers at refineries that produce nearly 10% of the nation’s gasoline, diesel and other fuels went on strike Sunday, after contract negotiations broke down over salaries and safety concerns, union officials and companies said. The USW told members at nine refineries and chemical plants from Texas to California to walk out after their shifts were over and not to return until a new three-year collective bargaining agreement was reached. The strike affects 3,800 workers, the union said. The job action was the most widespread of its kind in 35 years. In 1980, a nationwide strike of refinery workers lasted three months, but most fuel generators were able to keep running using nonunion labor. This time around, companies said they, too, would keep plants operating under contingency plans. Royal Dutch Shell PLC., the oil giant leading negotiations on behalf of the refiners, didn’t offer details about why negotiations broke down. “We remain committed to resolve our differences with USW at the negotiating table to reach a mutually satisfactory agreement,” said Shell spokesman Ray Fisher. Tesoro Corp. , Marathon Petroleum Corp. , LyondellBasell Industries and Shell have said contingency plans to use nonunion labor will keep striking refineries running, and other plant operators have said they have similar plans if workers at their sites go on strike. However, Tesoro said Sunday that part of its refinery in Northern California has been shut down for maintenance, and the company decided to shut the rest of the units down because of the strike.